I love living here, even if aspects of French life are still unfathomable. As for work, like my guest last month, Rachel Abbott, Vanessa is a refugee from corporate life in the UK (she worked first in publishing and then in public sector auditing and research). Unlike Rachel, she still has a day job: running her own copywriting business and writing magazine and journal articles about aspects of French life. But being an expat has also enabled her to become what she calls on her writer’s blog a “young author” of fiction (“young” because she started comparatively late): specifically, historical fiction, which harks back to one of her great passions in life (she read history at Oxford University). She produced her first novel, The House at Zaronza, a year-and-a-half ago with Crooked Cat Publishing. And these days there are more English-language writers in her local area—enough for Vanessa to help establish, in 2013, an annual Franco-British literary festival in the nearby village of Perisot. Corsica is almost a character in its own right in “The House at Zaronza” and a lot of people have remarked that it comes over strongly. I ought to be getting commission from the Corsica Tourist Board! Living in one place while dreaming of another. Photo credits: (top row) Midi-Pyrénées region in southwest France, where Vanessa Couchman lives (via Pixabay); the square tower of the Château of Cornusson, in Parisot, by Thérèse Gaigé via Wikimedia (CC BY-SA 3.0); (middle row) Vanessa Couchman and Nonza Paoline Tower, Corsica (both supplied); (bottom row) Corsican village and Filitosa IX stern face captured in granite (both supplied). Corsica?! What’s more, the novel explores a topic that seemingly has not been nearly as important to Vanessa as it is to her characters: “how centuries of Corsican history and culture remain deeply rooted in people, even if they move away,” as she puts it. We see this dynamic in her main character, Maria, when she leaves Corsica to serve as a military nurse on the Western Front during World War I. Unlike her creator, Maria feels displaced. But instead of speculating, let’s see what Vanessa herself has to say on the topic of location, locution. Welcome, Vanessa, to Location, Locution. I can vouch for the fact that you have a strong sense of place in your writing, but tell us, which tends to come first, story or location? For my first novel, The House at Zaronza, story and location came together, really. As you said, it is set mostly on Corsica. In fact it is based on a true story my husband and I came across on holiday there. The owners of the B&B found some old love letters hidden in a niche in the attic when they restored the house. They were from the local schoolmaster to the daughter of the house in the 1890s. Her parents would have disapproved, so they met in secret. She was required to marry a cousin to keep the family property together, which was common in Corsica into the 20th century. The story kept nagging at me, so I had to write it. I’m very attached to the Mediterranean island of Corsica, with its rugged and majestic scenery—we’ve visited six times! And so it made perfect sense to set the novel there, especially as it has distinct cultural and historical elements that I was able to use in the story. The house and the village of the title are loosely based on real life, which enabled me to visualise the place as I wrote it, although I changed a number of aspects, including the name. The name of the village in the title of my book, Zaronza, is invented. As you hinted in your introduction, Corsica won’t leave me alone and so my second novel—a work in progress—is set there, too. A third is in my head, also against the backdrop of the island. That said, I do also want to set novels in southwest France, where I live, one day. As you also mentioned, a number of my short stories are already set here. What techniques do you use for evoking the atmosphere of Corsica? I believe it’s important for readers to feel they are there so that they get fully involved with the characters and their surroundings. That means evoking a complete sensory picture of the place. I went to a great workshop about creating a world for your novel. We were told to go outside for 10 minutes and make notes of what we saw, touched, heard, smelled and even tasted. This heightened sensory awareness is very valuable when describing a place. I also think that using particular objects or landmarks in a novel gives them symbolic significance and helps to add depth to the setting. So, in The House at Zaronza, the front door often catches on the flagstones, a ruined tower on top of a hill is a place the heroine, Maria, always goes to think, and her father’s stylet (a Corsican dagger) becomes a symbol of him. All of those things are important to me and I try to weave them into my writing. When it comes to Corsica, I am particularly interested in its culture. I’ve been greatly influenced by a wonderful book called Granite Island: Portrait of Corsica, by Dorothy Carrington, who first visited Corsica just after World War II. She was so taken with it that she eventually lived there and became an international authority on its history and culture. I wish I could have met her, but she died aged 91 in 2002. Despite being French since 1768, and Genoese before that, Corsica has always been a land apart. It has been invaded, conquered and occupied from prehistoric times, so the island was a cultural melting pot, and as you speculated at the outset, I think that appeals to me. Different traditions have overlaid one another, such as Christianity on top of paganism. The hairs on the back of my neck stood up when we visited a megalithic site at Filitosa, where standing stones carved with stern human faces have been excavated. Until very recently, the Corsicans had strong superstitious beliefs, some of which I am writing into my second novel. The geography of this mountainous island and the isolation of many of the villages also led to the development of solid clan bonds. The concept of honour is very deep-seated and to infringe someone’s honour was a serious matter that could lead to vendettas of long duration. I find all this fascinating, though it’s easy for people to parody it. She moved to the other window and opened it. A salt-laden breeze wafted in. For a moment, the sight of the purple-tinged mountains on the other side of the bay made her hold her breath. The sun’s lengthening rays tinted the sea with red and gold. Another scent prickled her nostrils, aromatic and dry like sun-baked mud. She closed her eyes and breathed it in. This was the unique aroma of Corsica, that many Corsicans claim they can detect miles out to sea: part of the magic of the island, the Circe that had enchanted many a traveller before Rachel. Photo credits: (left) Corsica Ferries, by Conan via Flickr (CC BY 2.0); The witch Circe poisons Odysseu’s men, by Alessandro Allori (1580), Wikimedia Commons (CC BY-SA 3.0). I wouldn’t advise using a real place as a setting if you don’t know it at all. There are exceptions— the summit of Everest, for example, or the South Pole—which most people are unlikely ever to visit; and there are plenty of descriptions of them to draw on. Having said that, the novelist Rosie Thomas has been to both of those extreme locations and is a distinct example of someone who has visited all the exotic places she writes about. But if you really want your readers to get inside a place, I believe you have to know it yourself. I would feel uneasy trying to describe somewhere I have never been. Having said that, I do think it’s possible to know a location too well. If you write about the place you live in, there’s a danger that you start taking for granted what visitors see as fresh and new. I try to prevent this by visiting places I know well in SW France, finding out new things about them and then recording them on my French life blog. I also take many photos, both of Corsica when we are there and of my region in France. These visual prompts help me a lot when I’m writing. There are so many! But some stand out for me and have influenced my own writing. Hannah Kent‘s first novel Burial Rites is set in 19th-century Iceland, and she evokes brilliantly the uncompromising landscape and climate, the hard and unforgiving life of the people and the plight of unmarried women at that time. Jessie Burton‘s The Miniaturist is set in 17th-century Amsterdam, a time when the city was wealthy and thriving but stifled by the strict morality that prevailed. They both evoke a strong sense of place in these two very different novels. 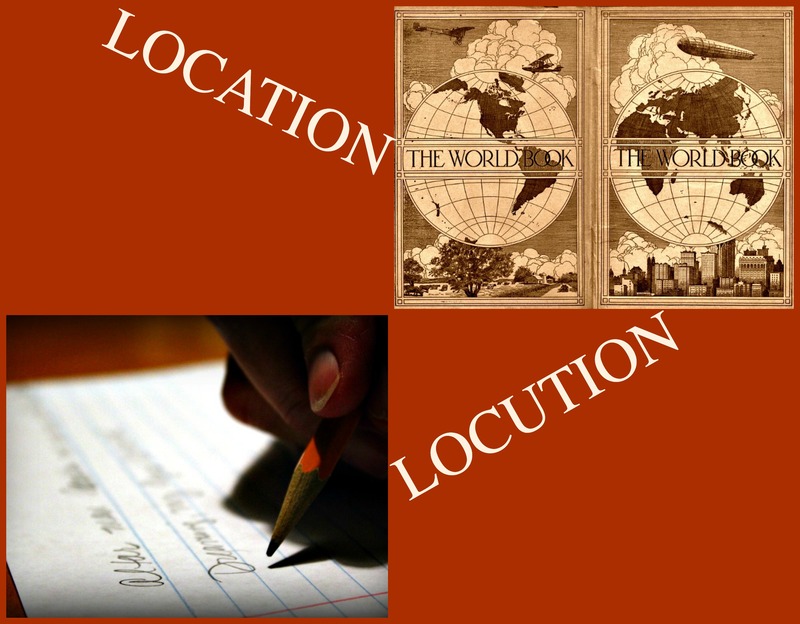 This is challenging in any novel, but particularly in an historical novel, where you have to describe locations that may have changed significantly over time. Khaled Hosseini‘s novels set in Afghanistan have given me a much deeper insight into that troubled country and its modern history. And if you’d like to discover more about Vanessa, why not visit her site about living in France, Life on La Lune, as well as her author site. You can also follow her on twitter at @Vanessainfrance and Facebook. What an interesting post. I would love to write books set in other countries, but I seem to be stuck with my native Finland, and Sweden where I lived as child. We have the same taste in books, I loved both The Kite Runner and The Miniaturist. Vanessa’s post is really interesting on so many levels. Thank you for the opportunity to appear in Location, Locution, Lorraine. I enjoyed it! I have the same sense of very much needing a strong sense of place in both my own writing and novels I read. It’s the irony of living abroad that characters who are very deeply rooted in a certain location seem exotic to those of us who have uprooted ourselves.